How to add Office365 accounts as Exchange account. Go to "Add your email account" window and then choose Exchange. Enter the details of your account in the window. And then click on "Add" and the account will be added in Airmail. If ask to enter Server info use the domain name in Server column. https://outlook.office365.com/EWS/Exchange.asmx as URL for Office 365 account. How to add Two-Step Authentication or MFA enabled Office365 account. 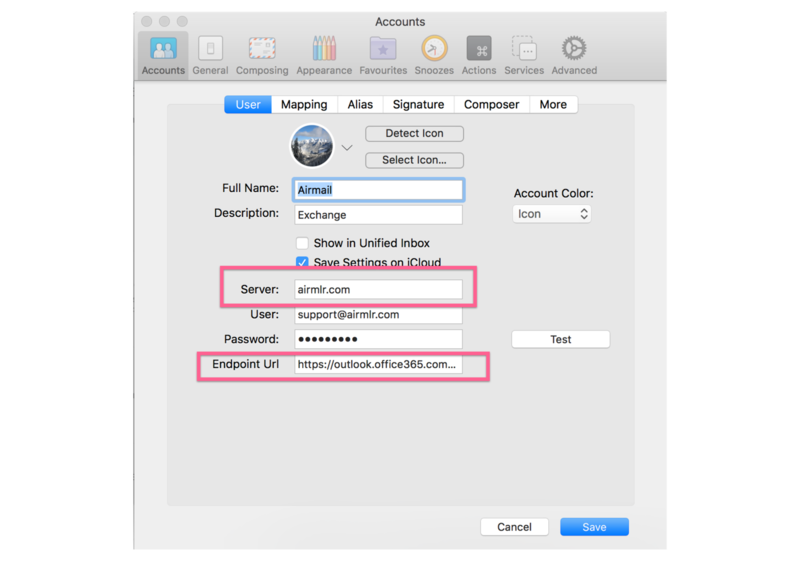 from their webmail and then use that app password to add that account in the Airmail app.